I was contacted by Castile Soaps to try one of their deluxe subscription boxes, so of course I jumped at the opportunity! I love bar soap (I really really do). It just feels more clean to me, so it's what I always use. And I love trying new brands. 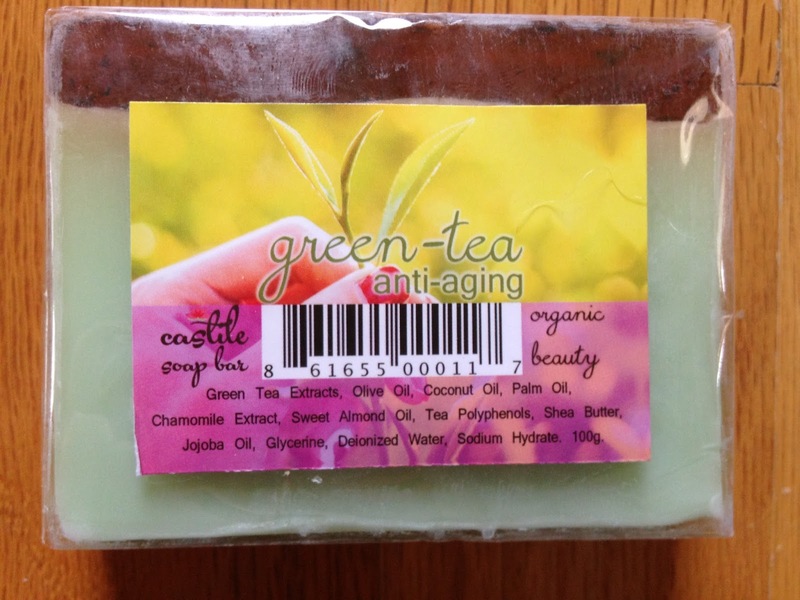 This is organic soap, which I love! This arrived in plain packaging, so I didn't take pictures of it. 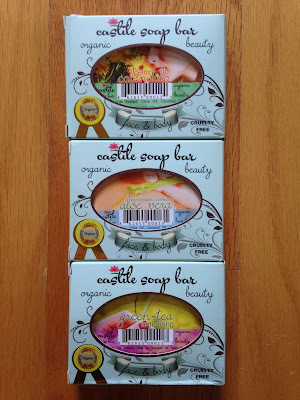 Castile Soaps has 2 subscription box sizes. 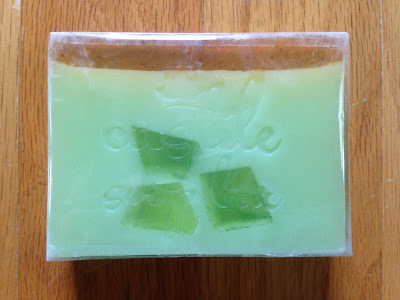 The Discover box is one soap per month for $7/month, but Castile Soap is running a promotion and you can get your first month for $.01 and free shipping. This promotion won't last long, so take advantage while you can. The Deluxe box is 3 soaps per month for $20/month, but Castile Soap is running a promotion to get your first month for $15. They are both a great deal for the quality soap you'll receive, but even if you're unsure, how can you go wrong with trying one for $.01?!? Here is a picture of all 3 soaps I received in the Deluxe subscription box. Castile Soap also included an information sheet with some facts about thinking green and results and benefits of using Castile Soap. 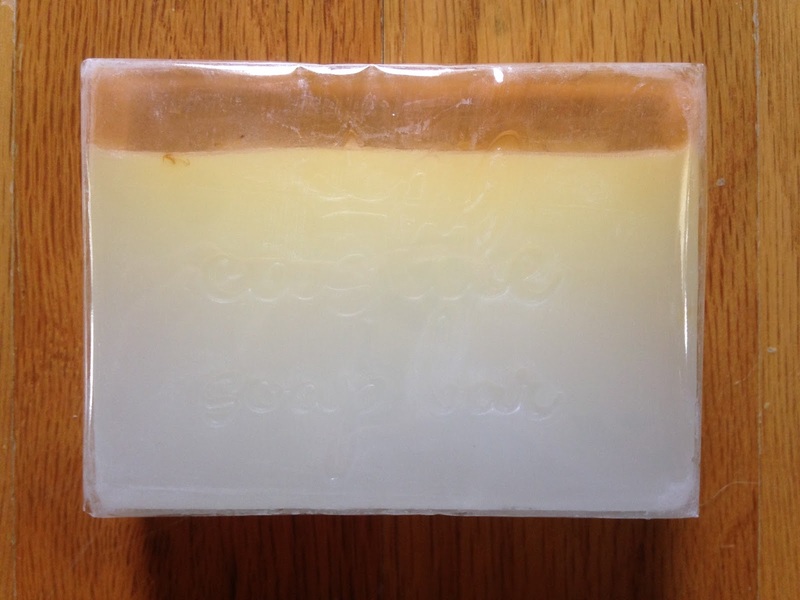 On the website there is a shop section that gives lots of information about each soap, if you want to read more about them. 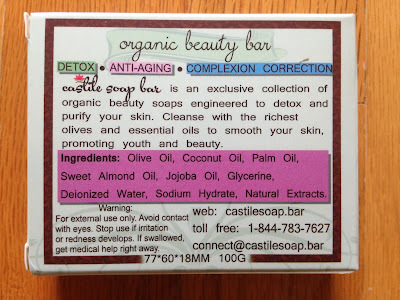 The main ingredients in the soap is printed on the outside of the box. It's always amazing when you can read all the ingredients. This is a soap I feel safe using on myself and my 3 year old daughter. The first soap I received was Green Tea. This is my favorite scent! It's great for anti-aging, because it has caffeine which invigorates and supports the youthful appearance of skin. I love that none of these soaps have an overwhelming perfume scent. This smells subtle and lovely. It works great too! 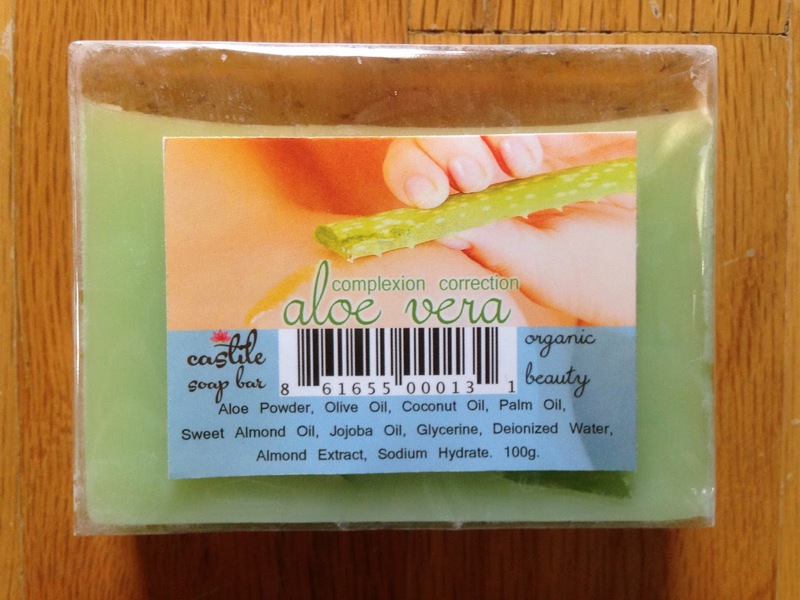 I also received Aloe Vera soap. This one also smells subtle and fresh. 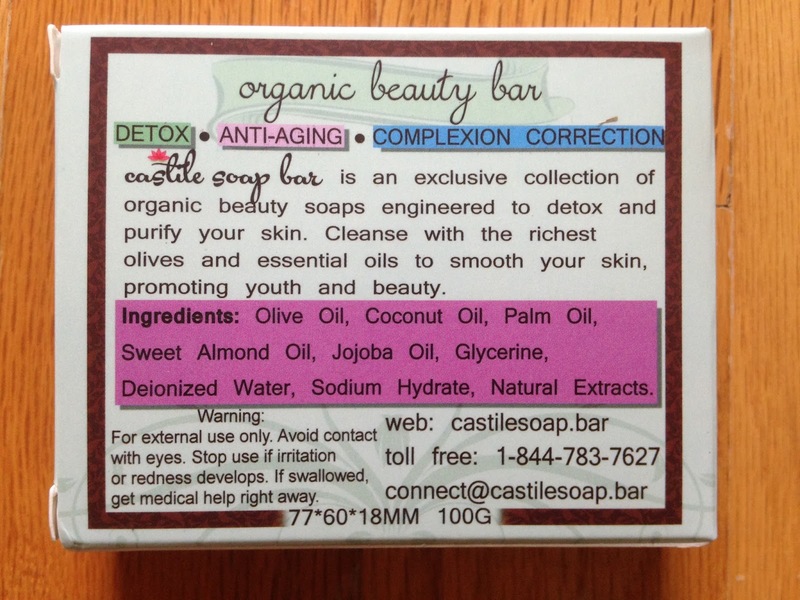 It is a complexion correction soap. It corrects redness and blemishes. I haven't tried this one yet, but I'm looking forward to it! The final soap I received was Calendula. This smells subtle and floral. This is to detox and brighten your skin. I really like the way this one smells too! I haven't tried it yet, but I can't wait to. I love that the tops of the soaps are clear, so you can see the fibers of the ingredients used. 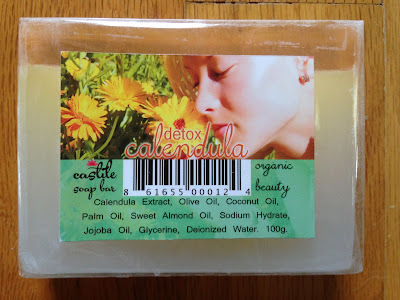 The Castile Soaps really are great and I recommend trying this subscription if you are thinking about it, especially at the $.01 promotion price (which won't last long). 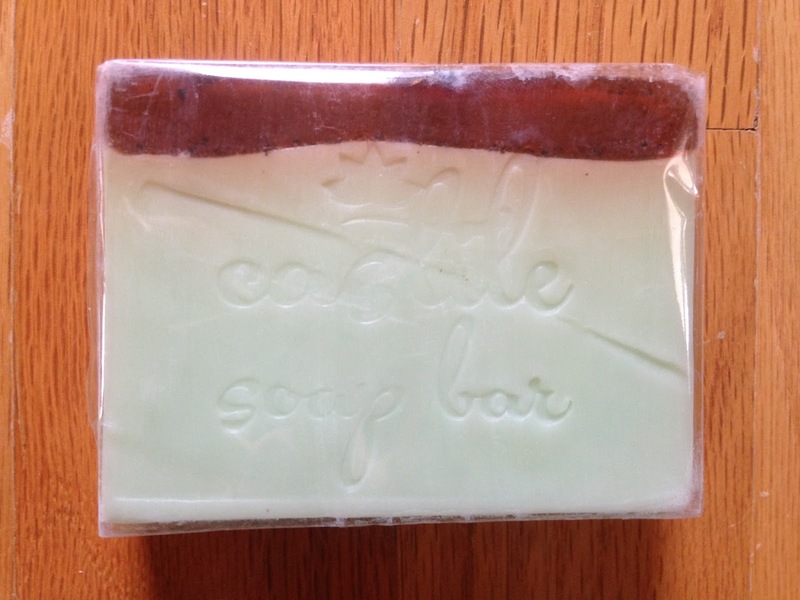 If you love bar soap as much as I do, this subscription is definitely for you. And if you like subtle fragrance that is not overwhelming!